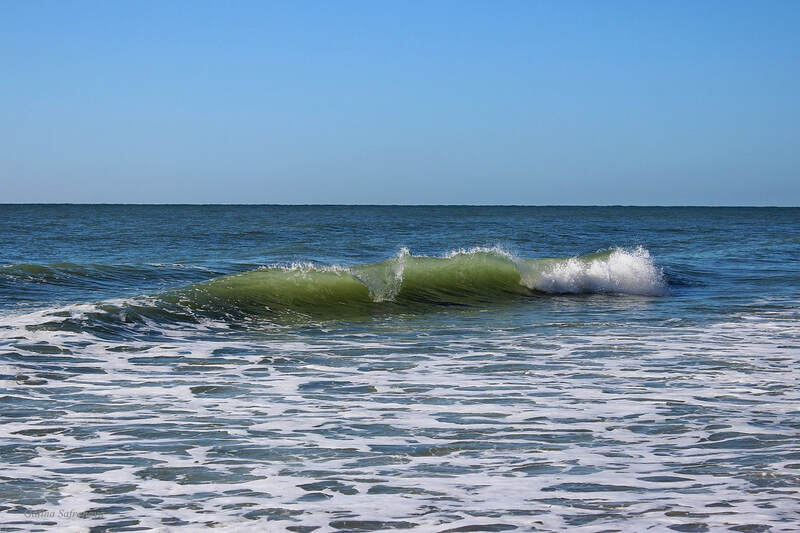 We carefully selected this Myrtle Beach condo that sleeps up to four, due to its appeal and ease of location. 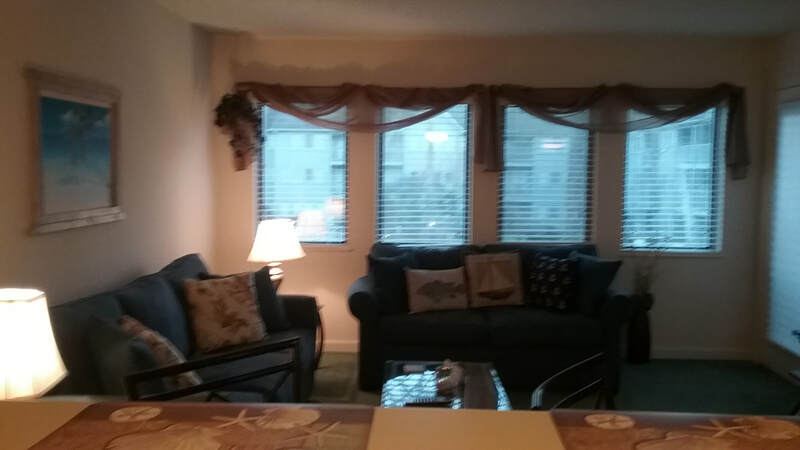 This condo is situated in the well cared for Five Seasons Centre. Plenty of parking is available near the stairs leading to this convenient second floor location, from which you can fully appreciate the relaxing setting. 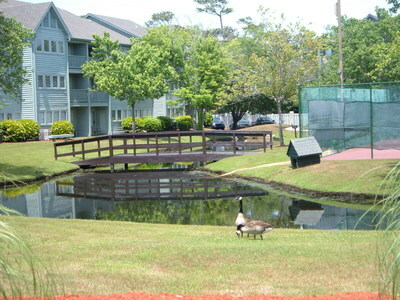 This is the first condo to the left of the steps on the second floor. 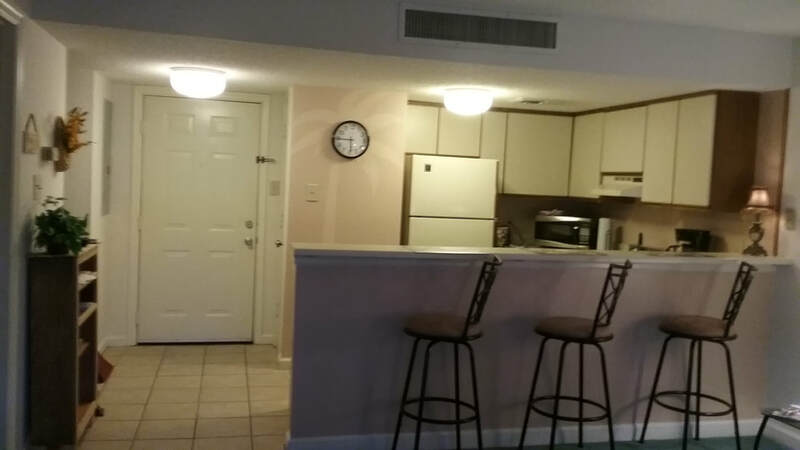 Come inside your comfortably furnished Myrtle Beach condo and step into a cozy foyer with a roomy kitchen off to your left. 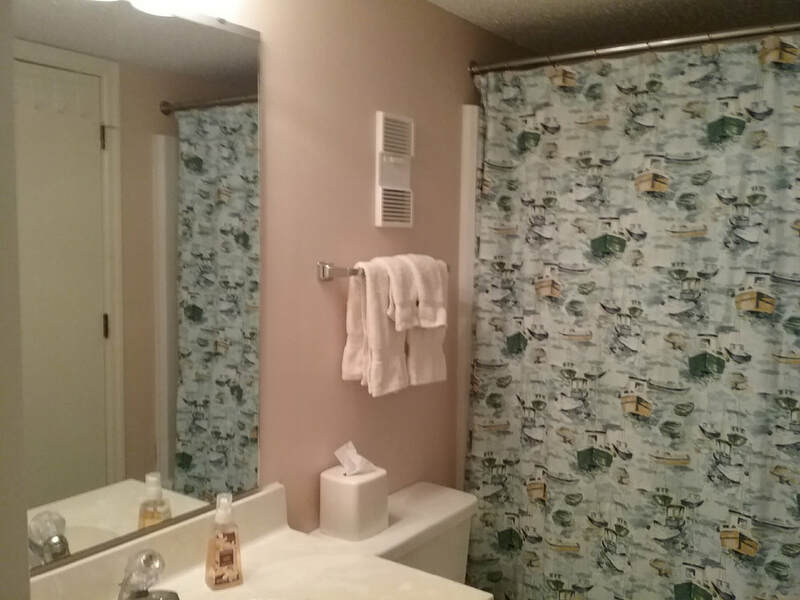 Ceramic tile graces these areas along with the hall and bathroom floor. When you wish to cook, enjoy home cooked meals using a well equipped kitchen. 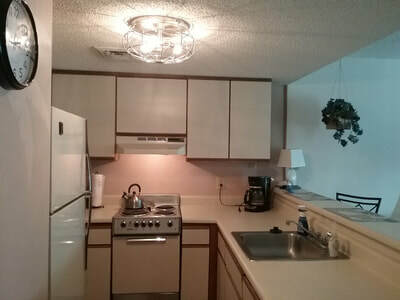 A full sized refrigerator with automatic ice maker, electric stove, dishwasher, microwave, toaster, blender, coffee maker, dishes and utensils are at your fingertips. Enjoy meals at the long breakfast bar with three new bar stools, or while taking in the views from the cozy balcony. Your living room is furnished with a comfortable new queen sized Cindy Crawford sofa sleeper with matching love seat, 43" flat screened television with approximately 100 channels including HBO, plus there is a DVD player for more movie time. The multiple windows give this room appealing warmth. Access the balcony from either the door off the living room or from the sliding glass door located in your bedroom. 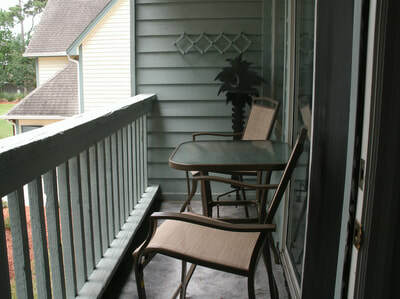 The cozy balcony also features a tall table for two and two matching chairs. The bedroom has plush carpeting and a comfortable queen sized bed, plus a 32" flat screen television mounted on the bedroom wall. The alarm clock has two plugs to quickly charge your devices. The full bathroom with medicine cabinet and hair dryer can be entered from either the bedroom or from the hallway off the foyer. With new central air conditioning and central heating, enjoy this condominium on a year round basis. Two new sand chairs and even a laundry basket are waiting. For your convenience, linens and towels are provided as well. 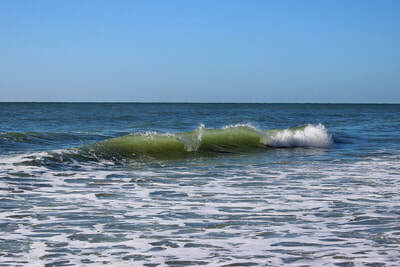 Winter Rate: December 1 - March 31 - Only $699 per month for two. Only extra fee is 13 % taxes. 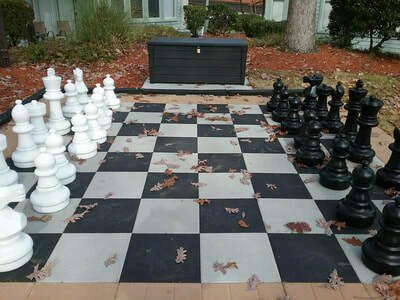 Add $150.00 for Easter and holiday weeks. This comfortable vacation condo makes an ideal winter monthly rental! Everything is included in our very affordable monthly rates. Please inquire about availability. Add 13% for South Carolina lodging taxes. 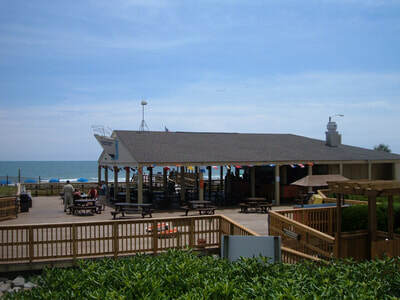 Weekly rates include nice linens, towels, full well equipped kitchen, and departure housekeeping. 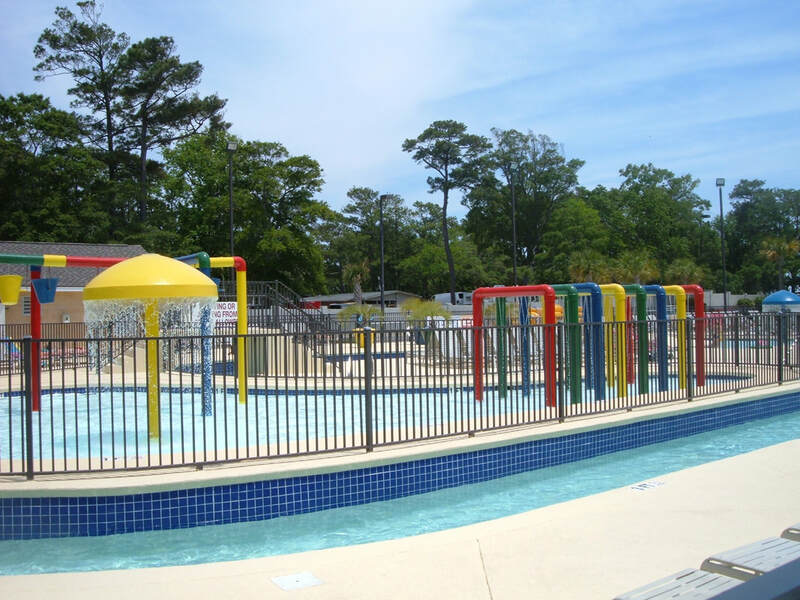 There are no additional fees for using any of the pools, lazy river or other resort amenities. House parties are strictly prohibited. A refundable security deposit of $250.00 is required within one week of making your reservations. This will be immediately refunded back to you after housekeeping determines there are no damages and no missing items. In case of any damages, the expense to repair or replace, will be deducted from your security deposit, and the difference, if any, will be immediately refunded.If you cancel your reservation giving more than 30 days notice, the deposit will be fully refunded back to you. To cancel with less than forty eight hours notice, the security deposit is nonrefundable. Also, if housekeeping finds signs of smoking or pets in the condo, the deposit is forfeited. Personal checks are accepted. However, there is a $40.00 fee for returned checks. Just call us to use a credit card. Payments can also be made with Visa, MasterCard, American Express, & Discover online via paypal.com using our email address of melbar55@aol.com. We make everything as easy as possible in every way for our guests. All of our guests receive receipts and confirmation letters. Your vacation payment is due in full two weeks prior to your check in date so we have plenty of time to mail out your keys. If you are renting by the month, payment is due in full 30 days prior to your check in date. There are no refunds for early departure. 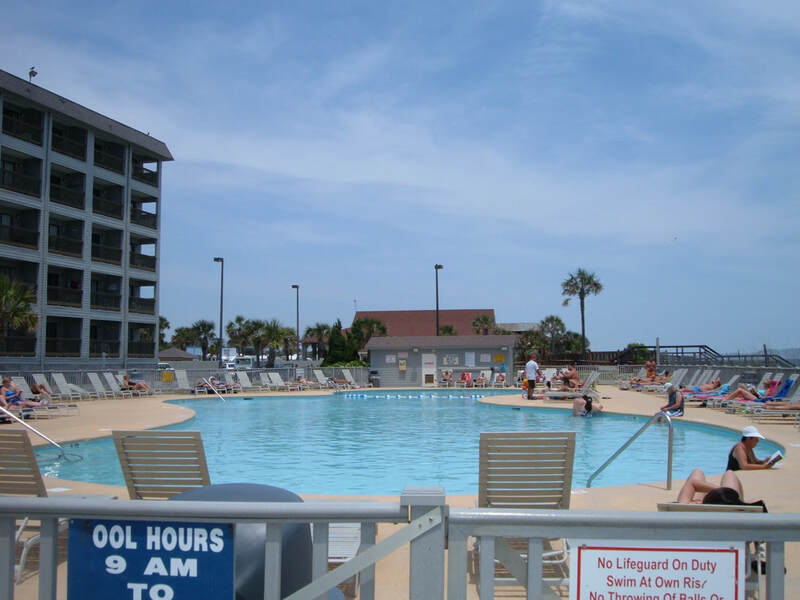 For reservations and additional inquiries regarding our Myrtle Beach vacation condominium, please e-mail melanie@candleliteinnludington.com, melbar55@aol.com, or call (231) 845-8074. 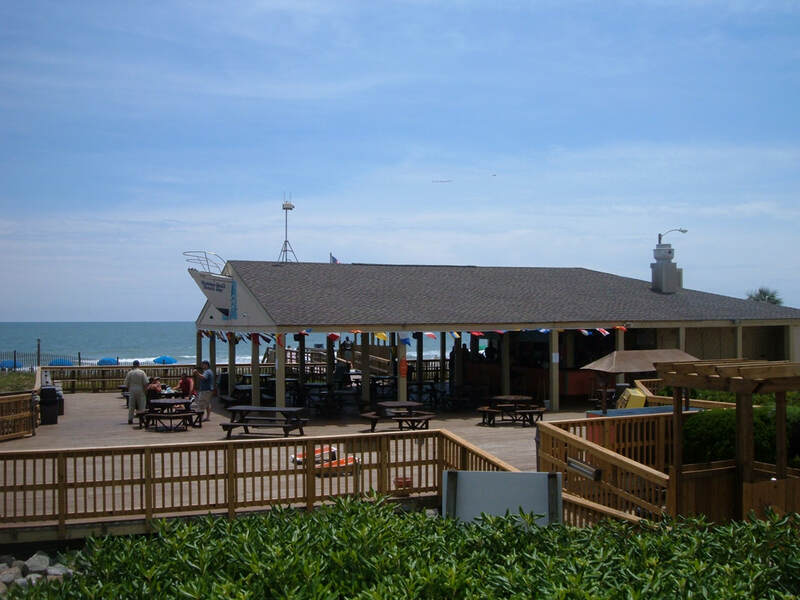 The Myrtle Beach Resort is conveniently located at 5905 Highway 17 South, Myrtle Beach, South Carolina. This part of the beach is known as being very family friendly.